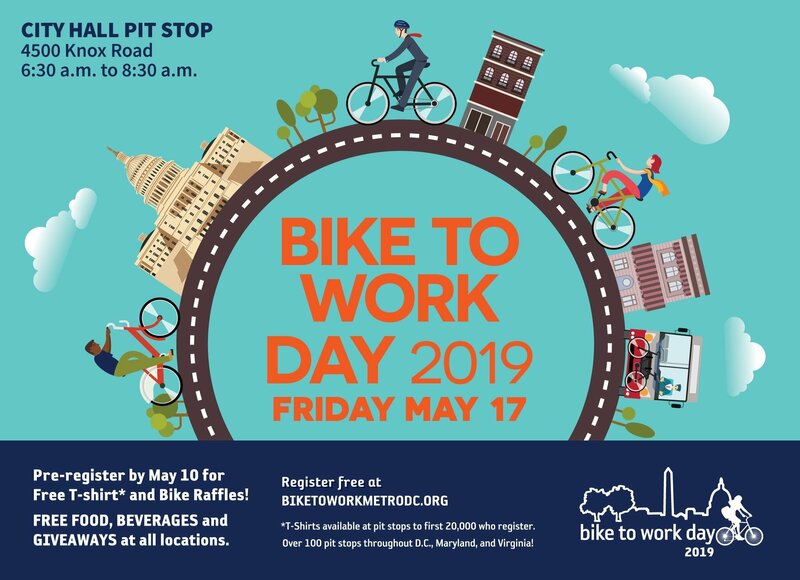 Bike to Work Day is Around the Corner. Register Today! If you haven’t already registered, Bike to Work Day is May 17! The City will once again host our Pit Stop in front of City Hall from 6:30 to 8:30 a.m.
f you’re one of the 20,000 to register, you can get a free t-shirt.